6) Dr. Hedburg: I use silver in my practice for Lyme disease and other stealth infections that cannot be reached with Antibiotics or other natural agents. It works so well in some cases that it is the only form of treatment utilized. Silver works by entering the nucleus of the cell and starving the bugs of oxygen which they require to live. Colloidal Silver kills all virus, bacteria, fungus & single cell parasites safely & without side effects. There is hope for this hopeless disease ! thanks for compiling this very convenient info for sharing! Everyone needs to know about the magic of Colloidal Silver . It is far better than Antibiotics , and even cures diseases that are Antibiotic resistant. It is also far less expensive than Antibiotics , and cured my terrible pneumonia last fall using a nebulizer. It is now my first line of defense for a chest cold, stomach flu, norovirus, etc, etc. It cures the deadly MRSA on contact, that is resistant to Antibiotics . We need to pass this information on in facebook, emails, other social media. Lets put the greedy drug companies out of business ! There is a link to a youtube video showing it's construction on his blogg. BTW thanks for the link, it will be an interesting read. I would rather buy the Silveredge Generator because it is far more versatile, can easily make a quart or a gallon, at the ppm that you want. Automatic generators are too limited for me. I am still working off my gallon jug of Mesosilver, but I will eventually buy the Silver Edge. I do not think that the DIY Colloidal Silver generator is automatic and could be adapted to make larger batches by a small modification to the setup ie not putting that useless laser mount next to it. I am not certain of the purpose of the laser, I do not think that it does anything significant. It only seems to illuminate the fluid but that doesn't really provide much function. It cannot measure anything as he uses a ppm measurement device in the video. The generator rate can be adjusted easily and so can the stir rate but it is still manual switch off. Using air to mix is frowned upon by some people because it can cause some problems. Using a magnetic stirrer seems the better method and using a larger magnetic stirrer would enable a larger batch to be made. As it is ATM the stupid laser gets in the way. I might just omit that. I have many of the needed things to make it, I have a laser printer, I have a temperature controlled soldering iron, I have some acetone, I have a circuit board drill bit, well I have 2 different sizes. I have solder and one small piece of copper clad board but I would need an additional small piece of copper clad board for the 2nd circuit board and ferric chloride to etch the circuit boards. I have been looking at purchasing a new mounted drill/drill press because I wanted one to do another project as I need to drill accurate plugs out of wood to fill holes in a door frame. I have the drill bits for that but I do not have an accurate method to drill them as I only have a couple of electric hand drills, one mains and one battery plus manual hand drills but nothing fixed which can drill accurately. I do not have a laminator but I might be able to get away using a regular iron to transfer the circuit from the paper to the circuit board. It is not automatic but I do not really need that. The only real problem is the particle size as the current is higher than I would like. Lower currents are meant to produce smaller particle sizes. I might be able to adapt it and add a potentiometer to adjust the resistance to produce smaller currents but it's whether changing that will need additional changes to the circuit. I have some basic electronics knowledge but nothing too comprehensive. If it required adjusting the circuit too much or altering the program then I would be out of my depth. If I could make quantities of Colloidal Silver then it might help defeat a prolonged bacterial infection. I could also provide some for my Aunt who has been told that she has a TB infection. I will read the reviews of the other Colloidal Silver generators to see what they offer but their cost is quite high which I do not want. Importing would add a high cost on top of the already high prices. Currently the exchange rates are very poor which does not help. Making my own should be considerably cheaper. After reading your post, I'd like to offer some information if you're interested in making your own CS and generator to treat an infection, as I have been in a very similar situation myself, and have benefited greatly from this knowledge also. As it turns out, I am a huge fan of the DYI approach, which stands in contrast to investing in what I'd call overpriced solutions. Though I'd add that I do appreciate the convenience that comes from systems that can allow the less fortunate(in terms of technical expertise), along with automation in such cases. This leads me to ask just how committed you are in your endeavor, and/or whether you're interested in making what I'd call, the best Colloidal Silver solution in the world? As this will require investing in some equipment, and a substantial amount of silver by most standards. Though I'd add that the resulting setup, can produce 2L of advanced CS, in as little as 15 mins. Beyond this, there is of course, the potential to make lower-end silver solutions like those from the common generators that flood the market, though I'd add that none of these have the potential to make what I'd call the most powerful CS solution available today. Having said that, I could send you a bottle(or two) for free, should you want to sample or test this solution. Though you will have to pay the shipping(COD). After which, you could then use this to help decide if you want to continue down this path or not. PS. I don't sell Colloidal Silver or generators, though I am however committed to helping others find the same wellness that I found through the generosity of others. Do you have a link for the complete instructions to build your generator? It has taken me quite some time to weigh up all aspects of my reply, reading through many other related topics. I thank you Esstee for your reply and interest. I do appreciate it very much. I also appreciate your offer to send a sample but I have no way of analysing it and analysis is likely to cost a lot of money and without that I think it would provide less information than details about the generation process that you used to make it. Therefore some details about your Colloidal Silver generator would be more beneficial. Does it have any control of current via a potentiometer etc? Does it have some form of stirrer and if so what method does it use? Is it entirely manual or is there any automation? What voltage level for generation does it use? I assume the larger silver electrodes that you hinted at are how you are able to produce the Colloidal Silver so quickly by having a larger surface area, is that correct? Reading some of your previous post on curezone, you do seem to have done lots of research on the subject which is a good sign. ATM I am trying to find a design that does what I need, as all so far have proved deficient in one way or another. If your design meets my requirements then I would be very interested in making it. So I can get an idea of what it would cost me to build it can you tell me what additional equipment that I would require? I have some things which might be usable such as a laser printer to produce a circuit board template for etching, temperature controlled soldering iron and I already have some electronic components which might be usable but it's the larger items where the biggest costs come in. Things like programmers I do not have so knowing about things like that would be helpful. I have suffered from Chronic-Fatigue-Syndrome for over 20 years and I know the cause which has been very frustrating because all attempts to beat it have been blocked because the items that would help cannot be purchased by the public only research companies and educational establishments. My Aunt has very severe Arthritis and is being treated with strong chemo drugs which are doing very little except for damaging her liver and she has recently found out that she has a latent Tuberculosis infection which she is not too hopeful that the doctors are going to be able to eliminate. She is in severe pain and has said that she just wishes that she could be free of it and has joked about topping herself. The thing is I very much doubt that her digestive permeability is anywhere near close to mine as mine is so extreme, some muscle and shoulder pain but mostly I can control that with the supplements that I take. However it's very time consuming dealing with it which means productivity is low and exhaustion tends to still affect me fairly frequently. I would be very interested in knowing more about your Colloidal Silver generator and the features it has. Large batches quickly are less important to me than quality and small particle size ie low current. Chronic-Fatigue-Syndrome has taught me patience but that is being severely tested by frustration ATM. RE: ...I have no way of analysing it and analysis is likely to cost a lot of money and without that I think it would provide less information than details about the generation process that you used to make it. I think you misunderstood. The intent was to use the solution in hopes of helping you decide whether or not you'd want to invest in such a process method. RE: Does it have any control of current via a potentiometer etc? I've chosen to use current limiting diodes in my own setup since my configuration(electrode size/distance etc) is fixed and where these are very simple to implement. That said, it would be quite possible to substitute this with a variable current limiting circuit should the need arise. RE: and if so what method does it use? I personally prefer the use of a magnetic stirrer for its simplicity and effectiveness. Though I'd add that the use of a mechanical stirrer is also possible with the addition of measures to control cross-contamination. PS. the worst possible scenario in cases such as these however, would be the use of air(bubbler etc). If not only for its severely limited capacity for dispersion, but more so, for the added cross-contamination that comes with the admission of oxygen(enrichment) into the solution. - thus promoting the formation of silver oxides and further destabilization. RE: Is it entirely manual or is there any automation? Since my own process will run in under 18mins, I've chosen to keep the setup manual. - safe the addition of a timer . That said, it wouldn't be very difficult to automate this with a micro-controller such as an Arduino to either; collect telemetry, or carry out simple functions such as suspending or terminating an operation based on conditions etc. Though I never opted for this personally as the batch is usually finished by the time I'm done cleaning the first set of cathodes. RE: what voltage level for generation does it use? I run my own setup(electrode sizing, etc) at 42v DC so as to keep the cell running as close to maximum potential throughout processing. That said, I'd add that it's important to note that the voltage in this particular case is merely a carrier from which the current(mAh) is delivered into the cell to do the work. NB. the efficiency of an electrolytic cell can be managed by reading the voltage drop between the electrodes throughout processing. This in turn, provides the means from which to control the potential of the cell and inherent properties of the particulate(size, shape, net structure), as well as calculate saturation(ppm). RE: I assume the larger silver electrodes that you hinted at are how you are able to produce the Colloidal Silver so quickly by having a larger surface area, is that correct? Correct. The rate of production(ion distribution) within the cell is proportionate to the size and capacity of the Anode. That said, the rule of thumb in this particular case is; 1 mAh p/sq. inch of total wetted surface area. RE: ATM I am trying to find a design that does what I need, as all so far have proved deficient in one way or another. Perhaps I can help. ie, can you elaborate further as to what your particular needs are? RE: So I can get an idea of what it would cost me to build it can you tell me what additional equipment that I would require? I'd say that the setup costs will depend on how far down the rabbit hole a person is willing to go. ie, In this field, we can scratch the surface, or dig deep into the depths of laboratory process methods in pursuit of more stringent parameters. - ie, < 3nm /30+ ppm. RE: I have suffered from Chronic-Fatigue-Syndrome for over 20 years and I know the cause which has been very frustrating because all attempts to beat it have been blocked because the items that would help cannot be purchased by the public only research companies and educational establishments. Sounds like both you and your Aunt could benefit from the use of an advanced Colloidal Silver solution coupled with the addition of a secondary treatment or protocol. - see: Beck Blood Purifier /electroporation device. Generally speaking, the higher the quality of the solution(particle size, stability etc) in terms of production, the more complex and expensive the process will be. That said, there are numerous limitations that come with what I'd call the common LVDC Colloidal Silver generators being sold today, in that none of them(to my knowledge) actively deal with the issue of solution stability and inherent particle size/ quality beyond the fundamental basics. To which I'd add, is likely attributed to the complexity and costs of the measures required to accomplish this. PS. I've also learned(over time), that many, if not most conditions can potentially be treated with what I'd call, modest solutions. So long as these solutions are relatively stable(ie, oxidation and precipitation), and that the pathology(ppm/dosage) is sufficient to treat the condition. I think you misunderstood. The intent was to make use of the solution so that you could decide whether or not you'd like to invest in this particular process method. I prefer to use current regulating diodes personally as my electrode configuration(size/distance etc) is part of a fixed setup. Though it wouldn't be very difficult to add a potentiometer to the design if need be. Okay, therefore is the current at a fixed and constant rate in your device like it seems from what you say about using a current regulating diode? Another design I have uses a comparator to monitor the current and maintain a constant current level as the resistance decreases as the amount of silver increases. Do you know what current flows between the electrodes? This seems crucial to the ionic silver and particle size. It does seem that it is the particle size which makes the biggest difference as smaller particles provide a larger surface area which provides the greatest benefit. Ionic silver by comparison is largely ineffective as it reacts with chlorides within the body, in particular the stomach which would render it pretty much useless. As I understand it Ions are more effective for topical use where chlorides are not present but inside the body there are a lot of chlorides which make them far less effective. I personally prefer the use of a magnetic stirrer for its simplicity and effectiveness. Though the use of a mechanical stirrer is also possible with the addition of having to contain the solution during processing(for cross contamination etc). PS. the worst possible scenario in this particular case would be the use of air(bubbler etc). If not only for its severely limited effect in terms of dispersion, but more so for the addition of the cross-contamination due to the introduction of oxygen(enrichment) in the solution. Which in-turn, promotes the production of silver oxides and further destabilization. I do prefer the method that you have used. A magnetic stirrer does seem the best method and I dislike the bubble methods employed by thesilveredge.com device for the reasons that you state. I think that maybe he saw that as the answer to being able to produce larger batches but I dislike it. I run my own setup at 42v DC so that I can keep the cell within optimal load from start to finish. Keeping in mind that the voltage in this particular case is merely a carrier for the current(potential) as it is the current that does all of the work. That said, the efficiency of the cell can be achieved by monitoring the voltage drop between the electrodes during processing. This allows to observe and ensure that the process is running at optimum potential(load wise). - which is an integral part in the production of consistent nano particulates(shape/size). What made you decide on 42V DC? What are you using to provide that 42V DC? The particle size does seem to be crucial to effective colloidal silver. Smaller particles seem most effective. thesilveredge.com claims that their device can make particles as small as 0.8nm which is fairly small, not quite as small as products professionally made by MesoSilver but still very close if what they say is true. Do you think that their claims are possible? I am sure that we all know how marketing often make false claims knowing that it is difficult to disprove. MesoSilver prices are very high and I wouldn't want to be purchasing much at those kind of prices. What I would like is something which works well, gets results but isn't too expensive. A DIY approach appeals but it has to work and work well. I am attempting to beat a biofilm in my stomach which is very difficult to overcome. Stomach acid will convert Silver ions so silver particles of small sizes are essential. That is why I asked the questions I have as the design I have ATM does seem a bit deficient in that respect and uses fairly high currents of around 10mA. I do not see production time as being as important as quality. I need to give it maximum chance of success. Perhaps I can help. ie, can you elaborate further as to what your partricular needs are? I would like something which works effectively, produces the smallest possible particle sizes that are possible at home without spending large sums of money on professional equipment. Being able to adjust the current would be beneficial as I might be using it for multiple purposes both internally and externally. Versatility would be an appealing feature. Your design seems to rely on a current limiting diode to control the current through the circuit. I can see a problem with this method in that polarity reversal would be very difficult if using a diode where current can only travel in one direction. I did notice another post of yours about 13 months back where there was mention by you and another poster about build up on the electrodes which indicates that you do not use polarity reversal which can combat that problem. A current limiting diode is a simple solution but I think that it has some limitations with regard to the electrodes. I noticed that you mention heating the distilled water in the thread. What benefit does this give? Does it affect Silver Ions, get rid of them or prevent them from forming? I am still trying to learn as much as I can about this before I begin so that I do not make any mistakes and end up with something which does not work in a satisfactory way. I would like something which provides polarity reversal, current adjustment so that variable particle size is possible and being able to produce the smallest particles that I can. However that certainly complicates matters as I do not have a circuit that will do that ATM. The one that I do have does much of it except for the current adjustment and the circuit designer did state that a different comparitor might be needed for lower currents. It's a question of how low such a comparitor can go and what range they could operate to. I am attempting to treat a condition which I have limited information, ie the bacteria is unidentified, I know it is not helicobacter pylori and I believe it is gram negative and shares many properties with helicobacter pylori but apart from that there are many unknowns. I do not know how effective colloidal silver will be in the presence of a biofilm which is designed to eliminate toxins to prevent the bacteria from becoming harmed. I did read on thesilveredge.com that the guy there claims that he suffered from extreme fatigue and he claims that colloidal silver eliminated the problem but marketing and false claims do not count for much IMO. Thank you very much for your help so far, you have been an inspiration and excellent source of information both in this thread and your other thread posts. RE: Do you know what current flows between the electrodes? I too recall feeling this way in the early stages of my research. That said, upon closer inspection, I discovered that these particular views stemmed from studies and reports carried out by certain Colloidal Silver manufacturers who were intent on promoting their products. Whereas in truth, the published report data would not prove substantial to the claims in that the numbers are reflective of the sample concentrations. Ie, 20ppm of Microparticle Silver vs a 10ppm Ionic Solution. That said, I’d encourage you to download and review this report as well as the following tests to draw your own conclusions toward matters. In saying this, it has been my observation that all forms of Silver Solutions(compound or particulate) will undergo disassociation in the presence of HCl, whereas specialty products such as encapsulated solutions have been reported to survive gastric conditions in excess of 60 mins. RE: As I understand it Ions are more effective for topical use where chlorides are not present but inside the body there are a lot of chlorides which make them far less effective. RE: What made you decide on 42V DC? 42v marked the necessary voltage required to ensure a current flow of 32 mAh was supplied to the cell from start to finish. That said, I’d remind you that the voltage in this particular case is merely a carrier through which the current is delivered into the cell. And so in this way, one could conclude that the voltage is secondary to the objective so long as there is sufficient voltage to successfully carry out the flow of electrons. NB. One simple way to visualize this would be to assemble a simple Electrolysis circuit along with an active measure of the voltage reading across the electrodes(anode and cathode), as well as a means from which to monitor or measure the current flowing through the cell. After which, activating this(w/distilled water) will likely show a full voltage reading(ie, 30v) and very little current. Which will in turn, increase as the leve of ions in the concentration begin to rises. Raise the voltage(pressure) so as to increase the current potential in the cell. And thus, it becomes possible to control the rate of current flowing into the cell by adjusting the voltage in the early stages of processing or as is commonly referred to as the ramp-up stage. 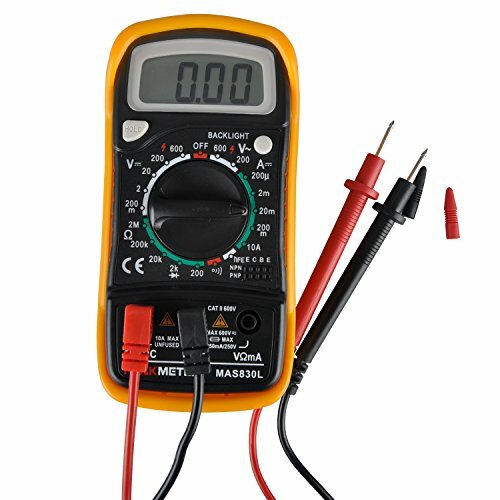 What are you using to provide that 42V DC? I'm currently using a variable bench-top power supply if not, only for convenience. That said, I've had success using a conventional power supply(from an old printer) coupled with a DC-DC step-up voltage converter and rheostat(to control voltage). As well as a using a 60v DC LED power supply, which seemed to work well also. RE: Smaller particles seem most effective. I agree. Though I'd also add diffusion potential(permeability) and reactivity (through ionic exchange), at the top of this list as these seem vital to the effectiveness of a solution in most cases. RE: thesilveredge.com claims that their device can make particles as small as 0.8nm which is fairly small, not quite as small as products professionally made by MesoSilver but still very close if what they say is true. Do you think that their claims are possible? In short, if a seller claims to have a +20ppm Colloidal Silver solution, while claiming to have the smallest particle size only to turn and have the darkest solution, then we can rest assured that something is amok with the claim. That said, I recently witnessed a lab grade +30ppm Colloidal Silver solution, made from the smallest physical particle size made possible through modern science and will say with assurance that there is no such solution(to my knowledge) being sold anywhere. - I have never seen anything like it. RE: What I would like is something which works well, gets results but isn't too expensive. RE: Stomach acid will convert Silver ions so silver particles of small sizes are essential. I do hate to be the barer of bad news on this, though I'd add that the acids in our stomach's will convert any form of silver particulate, be it ionic or elemental, regardless of the composition. Which can be verified at home by taking a solution such as Mesosilver etc. and adding a few drops(0.1M) of HCl and observing the results. And so at best, the best outcome in such cases would be to work toward improving resistance and contact time so that the particulate can survive long enough in the digestive tract to make a difference. RE: That is why I asked the questions I have as the design I have ATM does seem a bit deficient in that respect and uses fairly high currents of around 10mA. I do not see production time as being as important as quality. I need to give it maximum chance of success. I'd add that the initial size of a colloidal silver particle is only one part of the quality criteria. Though I'm thinking this will not be your greatest obstacle given that the colloidal silver is destined for the gastric system. To which I'd add, all potential for the structure and where the quality of the solution will become null-and-void once it enters the stomach - personal testing has shown that the disassociation time for silver nanoparticle in typical conditions(pH) is around 5 -30s at best. RE: Being able to adjust the current would be beneficial as I might be using it for multiple purposes both internally and externally. Versatility would be an appealing feature. The total current is determined by the inherent capacity of the anode(dia., and wetted surface area). And therefore should not change unless the anode size is changed, upgraded etc. RE: I can see a problem with this method in that polarity reversal would be very difficult if using a diode where current can only travel in one direction. I did notice another post of yours about 13 months back where there was mention by you and another poster about build up on the electrodes which indicates that you do not use polarity reversal which can combat that problem. I choose not to make use of a polarity reversal as this promotes the release of silver oxide in solution as opposed to aggregating on the cathodes(which can then be removed from the solution). I've also determined that this particular practice greatly affects the overall quality of the solution and stability. That said, it would take two current limiting diodes(back to back) to control current in a polarity reversing circuit. RE: I noticed that you mention heating the distilled water in the thread. What benefit does this give? Does it affect Silver Ions, get rid of them or prevent them from forming? Heating ones solution does a number of things, including though not limited to; raising conductivity, and electrode capacity, reducing oxides(in solution), increasing solubility(compounds), reducing oxygen and increasing hydrogen, as well as promototing the reduction(converting) of the silver ions into elemental particles. That said, one of the primary methods of controlling the ionic /particulate ratio of a solution is accomplished through the use of heat. RE: I would like something which provides polarity reversal, current adjustment so that variable particle size is possible and being able to produce the smallest particles that I can. Fair enough. However, I've never designed a reversing polarity circuit personally, and so I'm afraid I won't have much to contribute on this. That said, I did however, see a few videos in the past as well as a few circuits floating around that may warrant taking a look if this is your objective. RE: ...It's a question of how low such a comparitor can go and what range they could operate to. I'd begin by calculating your minimum and maximum current needs; ie, 1 mAh p/squ. in. of wetted Anode surface area, for the circuit and take it from there. PS. Based on what you've written, I'd question the costs of your endeavor in contrast to purchasing an advanced CS generator personally.